Hi everybody! It’s Friday! And a long weekend too! 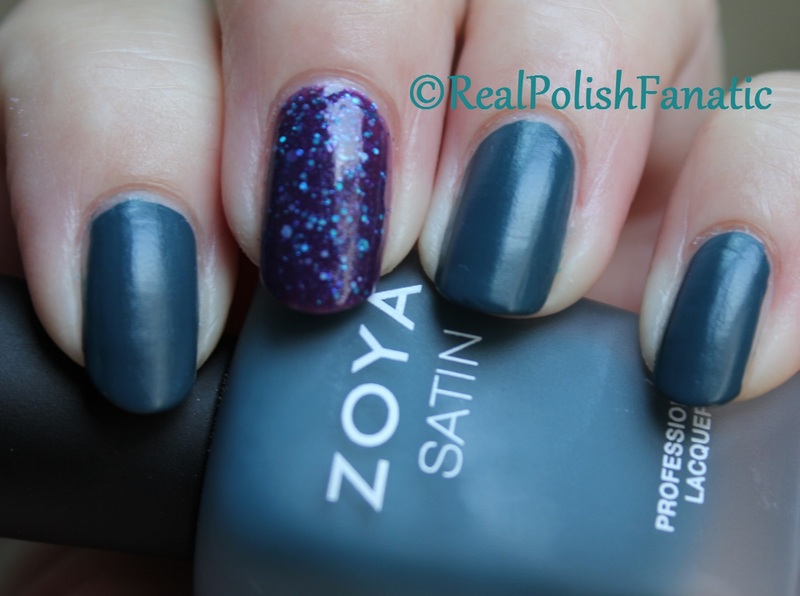 Today I have one of the Zoya Fall 2015 NYFW Satin Trio to show you, Dagmara. I added an accent of Femme Fatale Alien Atmosphere also. So Zoya Dagmara is a deep dark teal satin finish. Formula was great, very easy to work with and only ONE coat! I did 2 coats on my pinky to see if there was any difference, but nope, if you’re careful you don’t need 2 coats! This was the first Satin finish from Zoya I’ve tried. The formula was easy to work with, it didn’t dry super fast like matte polishes sometimes will. I Love Zoya Matte Velvet polishes, but I’m not sure I’m a fan of the satin finish. (I have a quick comparison at the bottom of the post using glossy and matte topcoats on Zoya Dagmara.) Plus this teal polish was much darker than I was expecting or hoping for. I’m still excited to try the other two polishes from this trio. Femme Fatale Alien Atmosphere is a gorgeous polish! I just ordered this from Color4Nails in the US. This is a purple base with teal glitter in a couple sizes. I really love this one! Formula was perfect. Great glitter distribution. I used 2 coats without undies plus topcoat and it is beautiful! Here is Zoya Dagmara, 1 coat (2 on pinky) and Femme Fatale Alien Atmosphere, 2 coats plus topcoat. A quick comparison between Zoya Dagmara in the natural Satin finish, using a glossy topcoat and using a matte topcoat. My favorite for this polish is glossy! 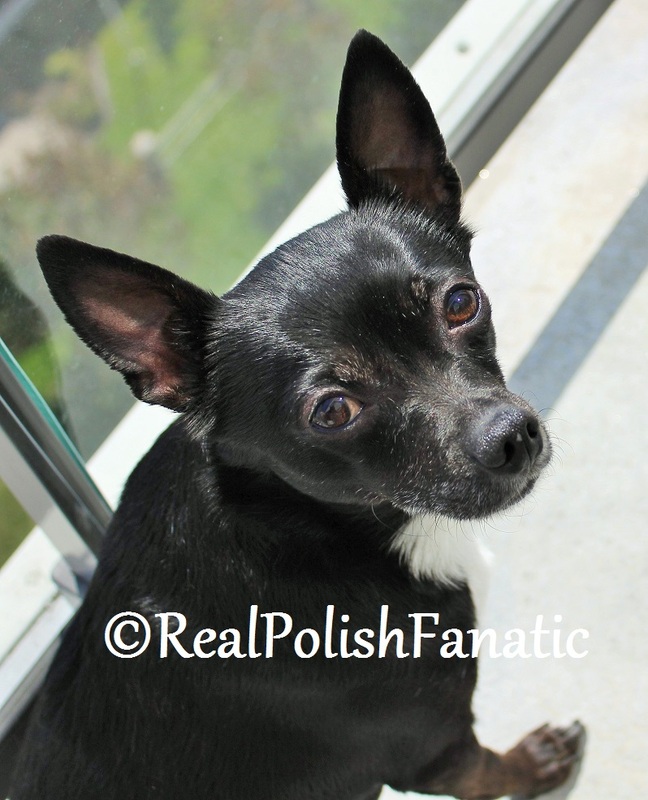 Here’s Chico wishing everyone a safe and fun holiday weekend! I’ll show you the other two NYFW Satin polishes soon.